What would a modern Christmas be without Charles Dickens? For a lot of Canadians, Americans, and Brits, Dickens’ Christmas Carol is nearly the apex of Christmas culture: the story of a greedy bitter miserly capitalist whose nightmares awaken the spirit of Christmas within him. Dickens wrote his novella in 1843, a time when several of our modern holiday customs were emerging – Christmas cards, Christmas trees, and Christmas carols derived from boisterous bawdy pub songs rather than church hymns. Oh, and snow. Snow is a huge part of the Christmas image for many of us. Geo-geeks over at the blog Letters from Gondwana inspired me to look at the Dickens-snow-Christmas connection. They analyzed The Little Ice Age and the 1815 Tambora volcano (which caused “the year without a summer”) and they explained how these events caused a period of cold weather that became part of our Christmas stories. Dickens described Scrooge with wintery symbolism: “No wind that blew was bitterer than he, no falling snow was more intent upon its purpose…” He likewise described London: “[on] the city streets on Christmas morning, where the weather was severe, the people made a rough, but brisk and not unpleasant kind of music in scraping the snow from the pavement in front of their dwellings, and from the tops of their houses, whence it was mad delight to the boys to see it come plumping down into the road below, and splitting into artificial little snow-storms.” Then the Ghost of Christmas Past took Scrooge upon the streets of his childhood: “The darkness and the mist had vanished with it, for it was a clear, cold, winter day, with snow upon the ground.” Dickens goes on and on, inconveniently dumping snow everywhere. 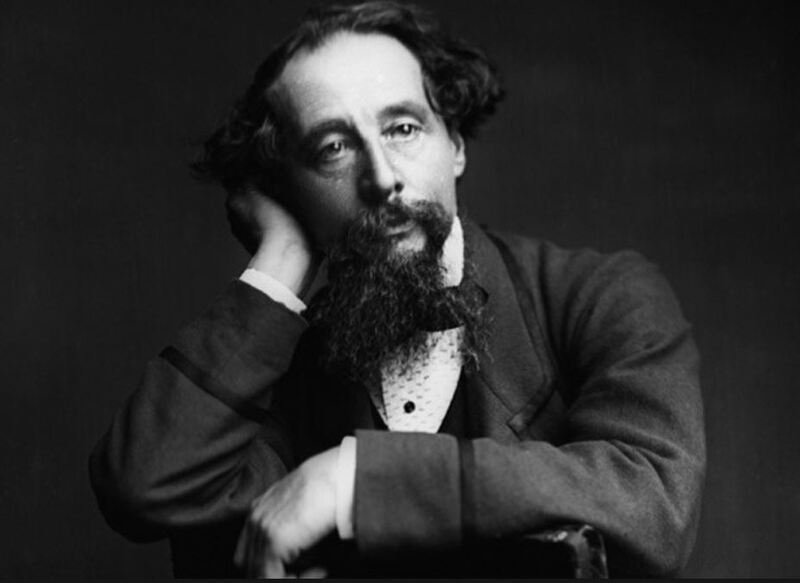 Dickens was only 31 when he wrote the Christmas Carol. The knee-deep snow of his childhood’s knees was still fresh in his memory. His story was an instant literary and commercial success. People loved the theme and identified with the snow drifts. They and their immediate ancestors had also witnessed the gripping cold of the receding Little Ice Age. Temperatures were cold for over 400 years (1400-1820), especially in northern Europe where entire communities became climate refugees. Strange as it may seem, even today there are living tales of that cold time in Europe’s past. I have met two people who told me their family stories that include the Little Ice Age. One friend from Hungary, now living in Canada, has the unlikely surname Larsson. “Swedish,” he told me. “My great-great-grandfather left Sweden because the crops kept freezing. He settled along the Balaton in Hungary.” Another family friend, Helga Dorfi, was born a German-speaking Romanian. Her ancestors had left the Hamburg area “because the crops kept freezing” and had settled near the Black Sea. They kept their language and traditions for 300 years, she said. Then they emigrated to Pennsylvania. The theory that a period of unusually cold weather before 1820 inspired our expectations of snow at Christmas seems probable. It also points to a full subversion of the Christmas story and its adaptation to a European audience. We ignore the probable spring-time birth of Christ, opting to fuse the Christian celebration with the Roman Empire’s wintertime Saturnalia Ceremony. 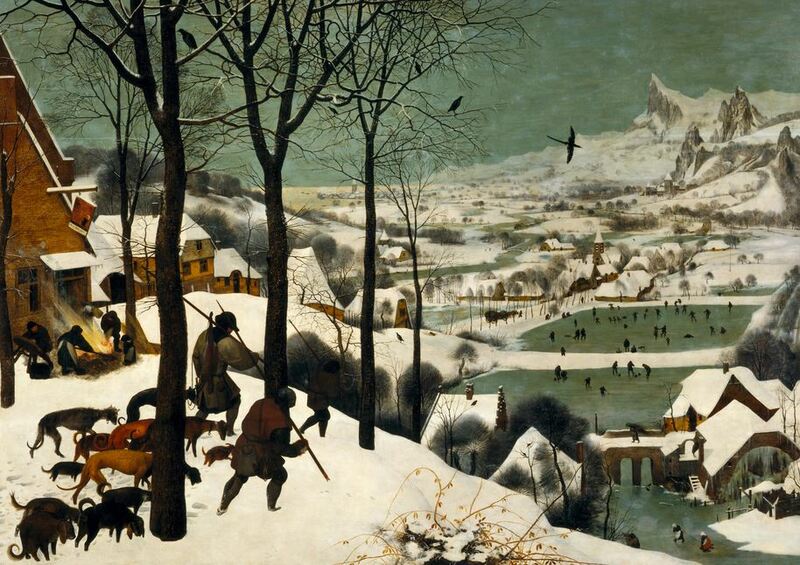 We also ignore the palms and dusty desert manger, replacing the messy childbirth scene with clean white holiday snow. But I wonder if this will change? 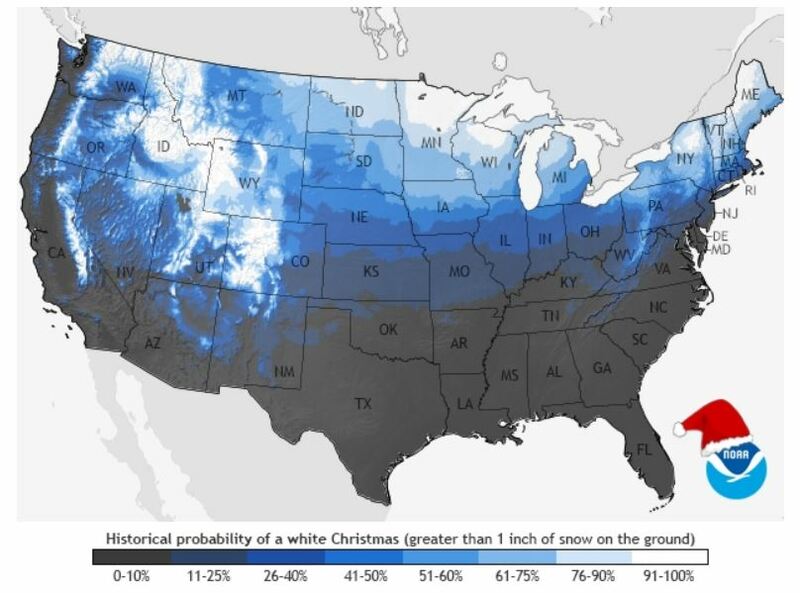 In a typical winter, fewer than 10% of Americans are certain to have a white Christmas. Those folks live in northern Maine, Minnesota, Idaho, and the higher elevations of the Rockies. For everyone else, the probability diminishes quickly as one heads southward. I’ve included the US government’s NOAA Map of Snow-cover Probability, below. For over half of all Americans, there is little chance of sleigh rides and skating on open ponds. And if the climate continues its current trend, more and more of us will be dreaming of a white Christmas only after reading Dickens – in our shorts while lounging on the patio. This entry was posted in Climate, Culture and tagged Charles Dickens, Christmas Carol, climate, Little Ice Age, snow cover. Bookmark the permalink.